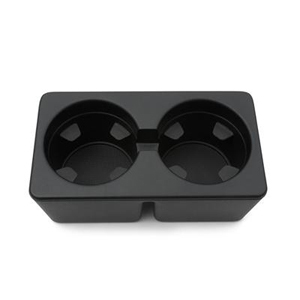 Add two additional beverage holders to your Silverado with this Front Floor Console Cup Holder insert. Fits easily into the production floor console of your Silverado. For Use with Front Floor Console (D07), Ebony.